Shawn in GO. . Wallpaper and background images in the Shirō Fubuki/Shawn Frost club. This Shirō Fubuki/Shawn Frost photo might contain drawing room, sign, poster, text, chalkboard, lectern, and reading desk. 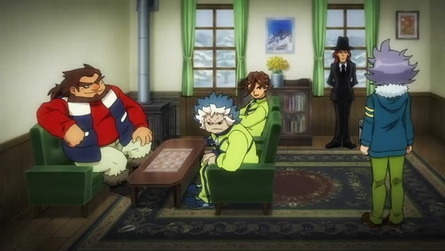 I hate everyone in that room except for Fubuki! I watched this and wanted to reach my hand into the tv to slap some sense in them! Fubuki's the best!